SAN JOSE, Calif., March 19, 2019 — Inspur, a leading datacenter and AI full-stack solution provider, today released the NF5488M5, the industry’s first AI server supporting eight NVIDIAV100 Tensor Core GPUs interconnected with ultra-high bandwidth NVSwitch in a 4U form factor. The Inspur NF5488M5 is designed to facilitate a variety of deep-learning and high-performance computing applications, including voice recognition, video analysis and intelligent customer service. 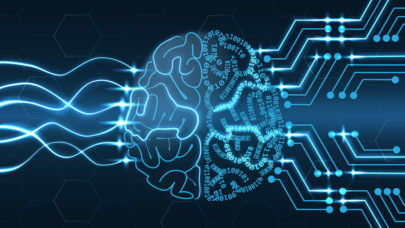 As a leading AI computing provider, Inspur is fully engaged in the development of AI infrastructures on four layers, including computing platform, management and performance suite, optimized deep-learning frameworks, and application acceleration to deliver end-to-end, agile, cost-efficient and optimized AI solutions for its industry customers. According to IDC’s First Half 2018 China AI Infrastructure Market Survey Report, with 51% market share, Inspur ranks first in the AI server market. IDC and Gartner’s worldwide server market tracker for 2018 ranked Inspur No. 3 in the worldwide x86 server market. Committed to offering state-of-the-art computing for global customers through innovative design, Inspur has become a business partner of many leading companies in the world. To learn more, visit www.inspursystems.com.